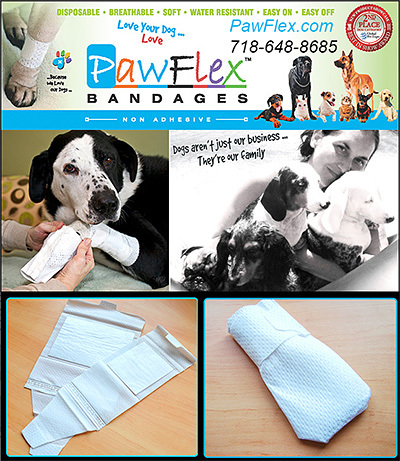 Bandages for Dogs, bandages for paws, and bandage wraps to help injured dogs are all in this section. Making sure you have a bandage that can stay on long enough to help your dog recover from injuries or wounds will be vital to your dog's recovery. Products to help bandage your dog safely and efficiently will make a world of difference to the comfort and well being of your dog.